In the past days the foreigners tried to bribe the border guards of the Separate checkpoint “Kyiv” four times in the Boryspil Airport. In the first case, the citizen of Azerbaijan tried positively affecting the admission through the state border by means of the bribes. The man, born in 1990, arrived to Kiev by flight from Istanbul. The person was refused in crossing the border because he exceeded the duration of his previous stay. In order to solve the “problem” the citizen tried to bribe the border guard for the amount of 250 UDS. 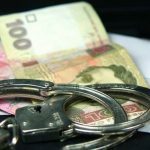 In another case, a citizen of Georgia, who arrived from Tbilisi, tried to bribe the border guard in the amount of $ 100. This was the sum the man estimated his illegal pass through the border without any verified purpose of his stay on the territory of the country. A citizen of Nigeria, who was also unable to confirm his actual purpose of stay on the territory of Ukraine, tried to influence upon the decision on border pass by offering illegal remuneration in the amount of $ 150. Another case of unlawful benefit offer was registered by the border guards from a citizen of Iraq. The foreigner was denied in border crossing due to the unconfirmed purpose of his stay on the territory of Ukraine. However, he also decided to try and offered a bribe in the amount of $ 100 for border pass. All the citizens were explained their liability for attempt of bribing the officials. The staff of the National Police was informed about bribe offer. Currently, the foreigners are waiting for their return by a back flight. This entry was posted in Translated Media-News from Ukraine on March 14, 2018 by oksana.